as mowing my lawn last week – participating in that grand American, summer reality of caring for the yard. And while my intentions were great to complete the job, circumstances were lining up against me. Ultimately, I was only able to finish the front yard. And while putting the mower away for the night, I had the reassuring thought that our fence would do a good job hiding the longer grass in the back yard from being noticed. I’ll be honest it felt good to know this. And for the next few days it rained…a lot. And I continued to be so glad for the white picket fence that was blocking the view of our ever growing lawn. To be honest, in some ways the back yard was out of sight and therefore out of mind. And it felt good to not have to think about it, let alone deal with it. And then when the weather cleared and time allowed a few days later, I figured it was a good time to finish the lawn care I had started close to a week prior. Have you ever seen grass that is close to your knees? Have you ever walked through it? Small animals and birds could hide with ease in this blossoming wheat field! And as I tugged the cord to start the mower it dawned on me that the work that now needed to be done would be exponentially more difficult. You see that’s the problem with fences. They are well intentioned at times, but all too often they end up giving us false hope about what truly is happening behind them. And life can be a lot like yards. We keep the visible front neat to please onlookers and therefore satisfy our need to be approved by those around us. And we keep the backyard out of view because the grass is tall there and the weeds are growing and the kids’ toys are littered across the expanse. Because there is brokenness and struggle and doubt and fear and anxiety in those spaces of life. There is incompleteness and we would rather hide it. The problem is that sometimes we begin to buy into the picture from the front of the house – that everything is just so. But we can’t simply will the backyard to be fixed. And as we put it off, the problems become more deeply rooted into our lives. 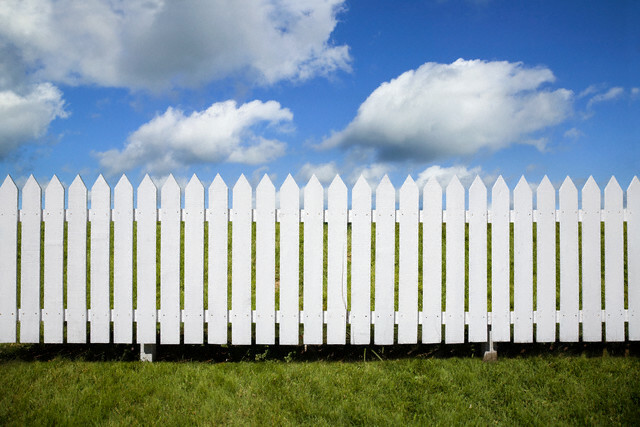 A nice fence is a beautiful accent to a home. But there’s a reason that fences have gates. And maybe we should leave the gate open or at least unlocked sometimes, so that the reality of the backyard is not out of sight and out of mind, but rather a work in progress. And how much more work could be accomplished if we let people in to help? Community groups at Hope are one great way to begin that journey. And there are many more as well. And be reassured as you consider this – that each home has a backyard and every person is struggling with incompleteness. How reassuring it is to me when I walk through the tall grass that God’s love for me is unconditional and never based on my performance.